Dr. Vadim graduated years ago, his pursuit of excellence in dentistry continues with routine attendance of continuing education provided by the best clinicians in the field. Dr. Vadim treats all his patients like family and you too will see the difference! Dr. Vadim Lebovich immigrated to the united states at the age of 13 months and grew up in Los Angeles, California. 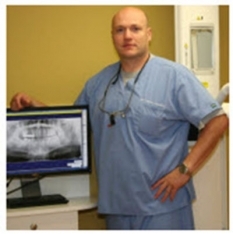 From the age of sixteen, Dr. Vadim has spent his entire career in dentistry. starting out as a certified dental assistant out of high school and continuing on to graduate USC\'s esteemed dental hygiene program. Dr. Vadim returned back to USC to graduate with doctorate in dental surgery receiving accommodations in both clinical and academic performance.